Kyoto’s Geisha are one of the major tourist attractions in Kyoto, Japan. 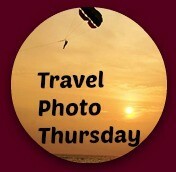 Welcome to week 236 (07/09/2015) of Travel Photo Thursday. When I was in Kyoto a few years ago I quickly learned that Geisha watching is a favorite past-time. It’s almost like a game..’Spot the Geisha’, and there is always lots excitement when there is a sighting. I saw two beautifully made up geisha when I was there, and managed a couple of photos that I want to share with you today. In Kyoto, you may also here the Geisha referred to as Geiko. This is a term used in Western Japan, including Kyoto. The Geisha/Geiko in my photos look quite young. Although looks can be deceiving with all that makeup, if they are as young as they look, they could be Maiko. Maiko is an apprentice Geisha, and must be under 21. Any woman over 21 is automatically considered a Geisha/Geiko once initiated into the Geisha community. Regardless, if you want to enter the ranks, you must train for a year. You can find out more about them here. 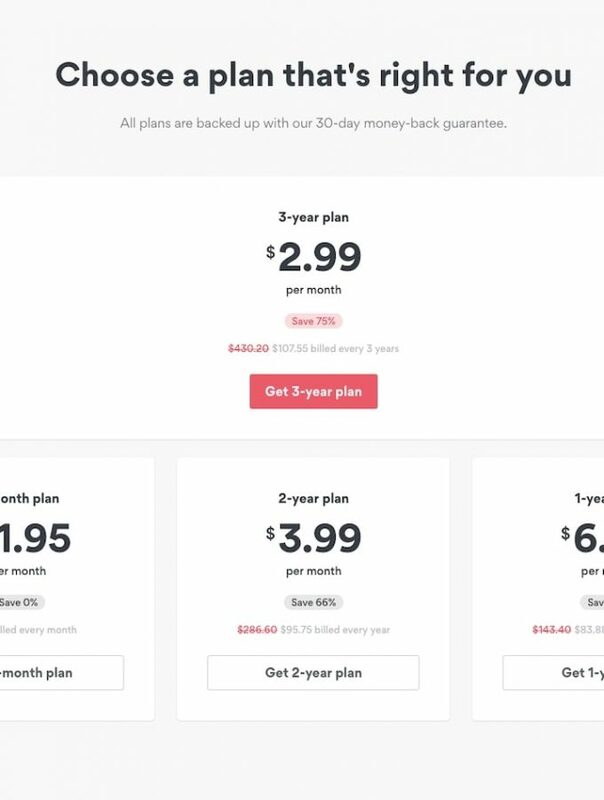 Remember to leave your comment and link at the bottom! Kyoto’s Geisha/Geiko walking in the Gion district of Kyoto, Japan. When she slowed down I was able to get a better shot. I love her yellow obi. I cannot imagine walking in those sandals, called okobo. This is my favorite… I love the color coordination, and she had a very friendly demeanor. She actually stopped and waited while we took photos, which was so nice. You’ll find Kyoto’s Geisha primarily in the Gion district. Seeing them walking on the street is pure luck. I think these shots were all taken in the early afternoon. If you’re interested in learning more about their clothing and accessories, this is a good site. Hi Lily. Yes, I’m sure you’re right. It sounds like you were lucky to get a photo. I think it is good that these traditions are still going – though they are probably for tourists. and of course it wasn’t and perhaps isn’t an easy life. Hi Jill. I’m sure it isn’t an easy life. I got the impression that the tradition is still going strong. Although, not like in the past. Very cool! I’ve only known one person to actually spot a geisha and get a photo. And now I’ve seen your photos. Both were in Kyoto. Great photos. Oh my gosh! How gorgeous are they!! You were lucky to be able to get these photos!!! Hi Jackie, and thanks. I was happy! I think the geshas look amazing – their makeup and costume is so precise. I have heard it is not so easy to see or photograph them. I have read there is a time during the day when you have more possibilities to see them. Th work ones you capture are so pretty. I love their colors. There are so many patterns in their clothes but they work together. Fabulous, I love that last photo. 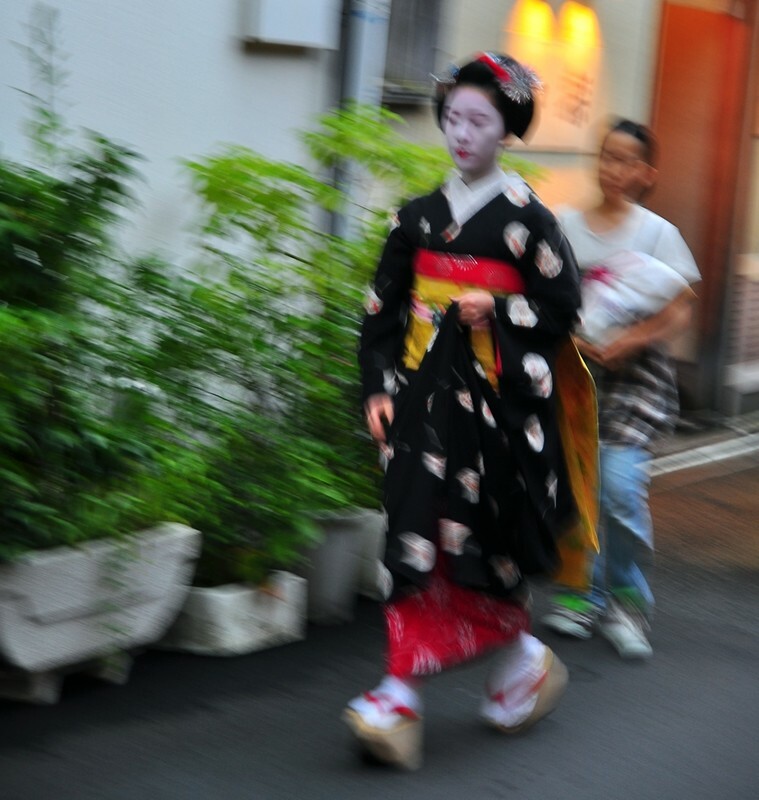 I so enjoy it when we have spotted a geisha walking to dinner or around the streets in the evening. Almost certainly both Maiko with the hairstyle and ornate Kanzashi in their hair. On the last one you can tell too by the red inside the collar at the back, on a Geiko it would be plain white. What a great experience. The Geishas are such exquisite creatures. They almost look ‘doll like’ and not quite real. It must have been a thrill to see them and photograph them. Beautiful photos! I can’t get over what odd shoes the woman on top is wearing. I can’t imagine walking in them. I would love to visit Kyoto, for the geisha and more. Beautiful! We didn’t get to see a geisha when we were in Kyoto last year but I think it was too early for them. We did see wannabe geishas  I love how colorful and elaborate their outfits are. The shoes that the first geisha is wearing reminds me of rocker sandals that are supposed to tone your legs while you walk according to the ads. That’s a great photo you captured at the end. When we were in Kyoto, we got so tired fighting the crowds during hanami season that we never got over to Gion much my disappointment. We were also very lucky to see a real geaisha and there are differences, between some of the women and also got a great shot. It felt really special didn;t it. A part of history and culture. So pretty. I can imagine what it must take to get dressed and made up! Great photos! The first image shows how quickly she was walking. Both Geishas look so beautiful and mysterious. We didn’t get to see any Geisha on our trip to Japan, but would love too. One of many reasons we need to go back. I’ve seen women dressed as traditional Geisha’s in the Gion district. It was hard to know if they were true Geisha’s or had paid a service to dress them. Lovely to see and I can’t imagine those shoes on the cobblestones! What lovely photos you captured of these Geishas! So beautiful and so enigmatic. Your first photo is amazing. I’ve been so intrigued by this lifestyle ever since Memoirs of a Geisha, and whenever there is another expose, I’m drawn in all over again.